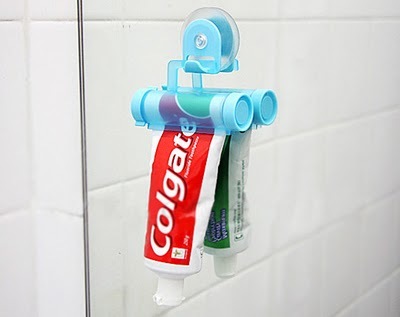 Managing bathroom can be rough task, with less time on hand one just can’t take care of small details like toothpaste cap or cleaning bathroom every weekend. These bathroom gadgets are easy to use and make your life easy. 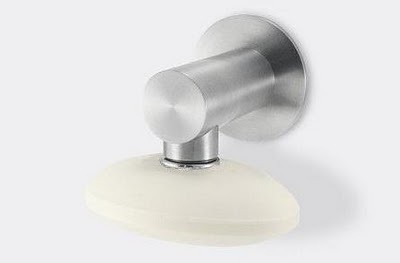 Thanks to these impressive bathroom gadgets you are free from never ending bathroom mess. 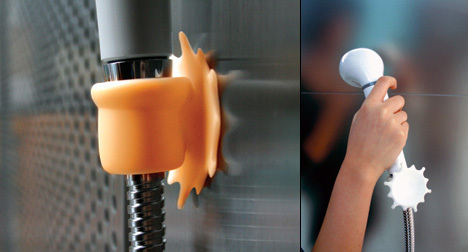 Just stick the magnet inside the soap and you can stick the soap with this holder. Place it next to the shower to keep it neat. Perfect for small bathroom space. Buy one here. It compresses the tube evenly allowing maximum usage. Available in different colors. 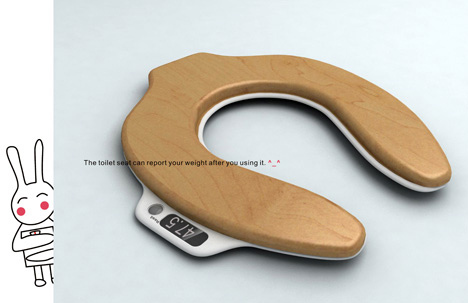 Designed by Haikun Deng, it is an inbuilt weight measure, optimum gadget for weight conscious individuals. You need not to worry anymore about slipping in the shower. 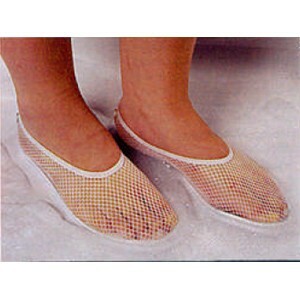 These foam based slippers will make sure that you are safe. Good option for elderly folks. Just wrap around your shower chord and you are good to place it anywhere. Best part it sticks to any surface. 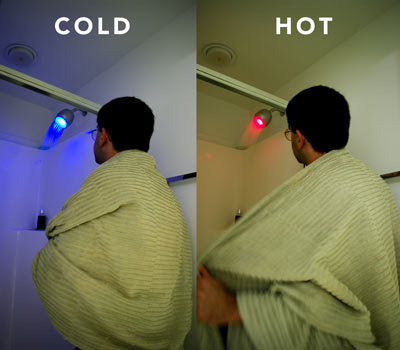 These lights can be fixed in any shower, you can wait for the light to turn red or blue as per your need for hot or cold water. 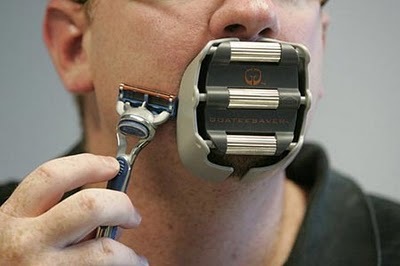 A gadget strictly for men who love their Goatee look. You can adjust the height and width accordingly. 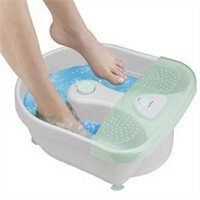 This what you need after a long tiring day, a foot massage can save your extra trip to the parlor and an easy way to shed that day long tension. Order here. 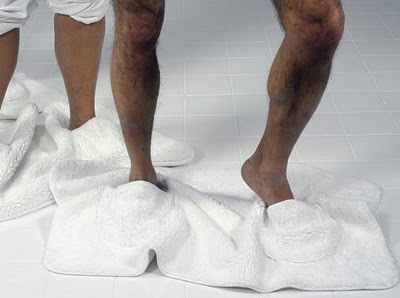 You can walk comfortably in the bathroom and can clean the floor with this mat. Slippers are integrated in the mat. An innovative assistant to clean up every corner of your bathroom, bathtubs, sinks, floor or walls. Just connect the device with tap and it starts cleaning the area automatically. Its a life saver. 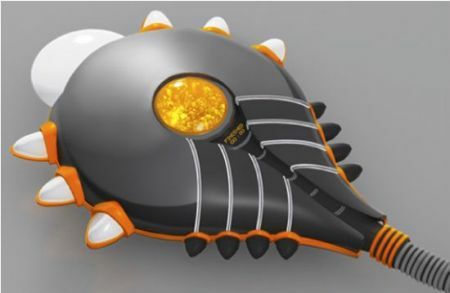 An amazing product from Russia.